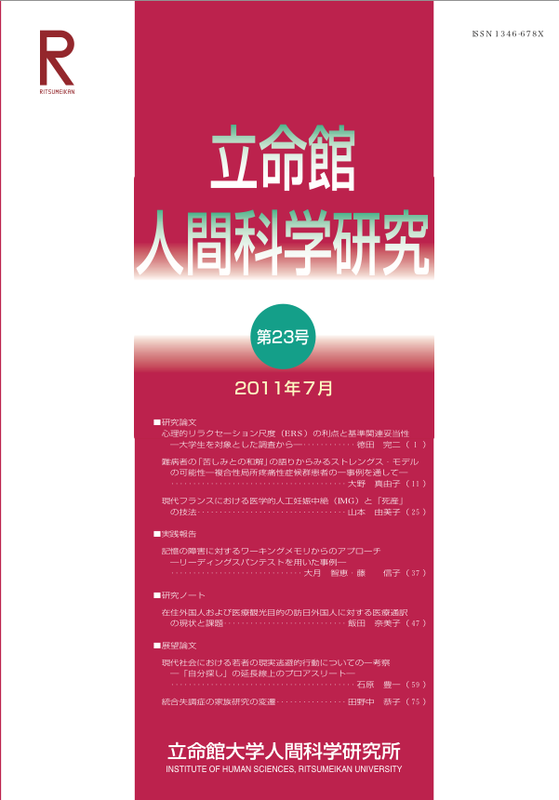 ''Ritsumeikan Journal of Human Sciences'' is an academic journal published by the Institute of Human Sciences. 'Studies for Inclusive Society'' is a serial publication published by "Translational Studies for Inclusive Society" project. 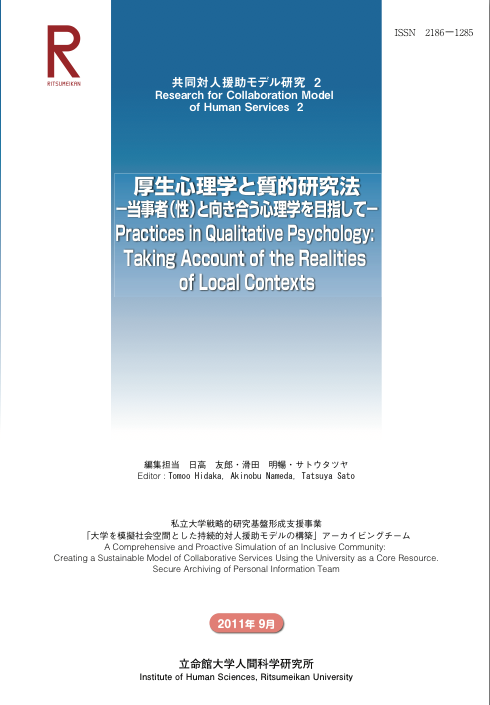 ''Research for Collaboration Model of Human Services'' is a serial publication published by "A Comprehensive and Proactive Simulation of an Inclusive Community" project (AY2010-2012).